The natural history of Sudan is the focus of a 5 p.m. March 28 lecture at the University of Nebraska State Museum. The free, open to the public talk, "Saharan Sands: Late Cretaceous Vertebrate Faunas of Sudan," will be led by Johannes Müller of the Museum für Naturkunde, Leibniz Institute for Evolution and Biodiversity Science in Berlin, Germany. Sudan is one of the most poorly known countries of Africa, especially with regard to its natural history. This lack of knowledge is largely due to the political issues over the past decades, which hampered careful research and exploration. However, a few reports in the 1990's indicated that the country is rich in fossil-bearing localities, particularly from the Late Cretaceous. 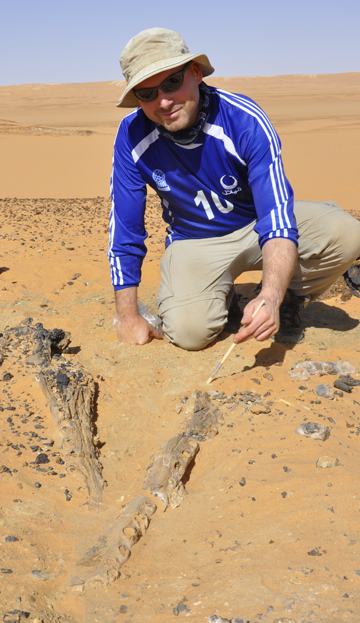 Since 2011, Müller has performed several expeditions into the northern part of Sudan in order to find out more about Cretaceous deposits and fossil fauna. 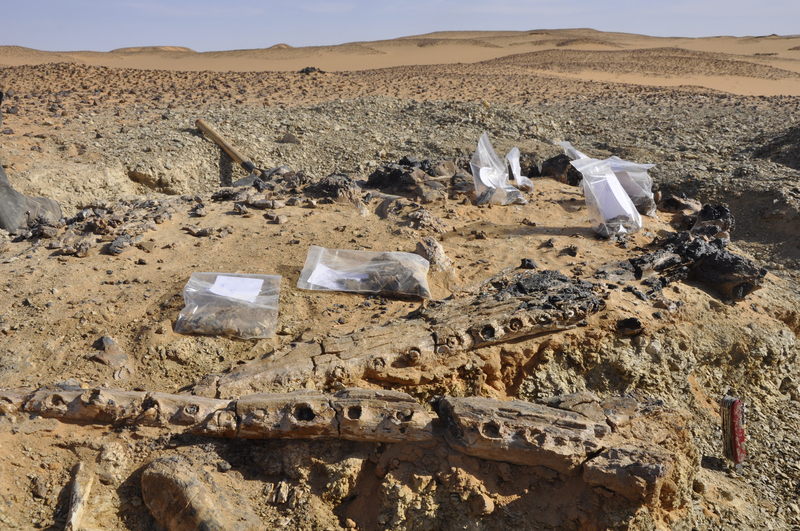 His work led to the discovery of many different types of vertebrates, from a variety of locations both deep within the Sahara and along the Sahelian margin. The spectrum ranges from crocodiles, which were extremely diverse, to dinosaurs and turtles, but there is also a highly interesting microfauna, including such important groups as snakes and salamanders. Müller’s presentation will provide an overview of his activities and includes a report on the latest discoveries from his most recent trip in January. The talk will be in room 141 of Morrill Hall, home of the NU State Museum. Fossils uncovered by Johannes Müller in Sudan. Müller will discuss the discoveries in a 5 p.m. March 28 lecture in Morrill Hall.